Foundation of Hope: The studies that the Foundation helped fund offer the promise of identifying underlying mechanisms of and new treatments for a range of serious, debilitating mental illnesses from schizophrenia and alcoholism to bipolar disorder and postpartum depression. 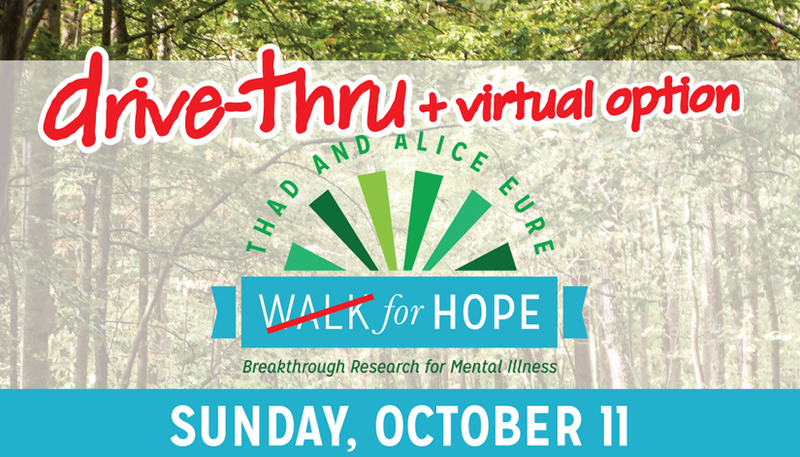 After Thad’s untimely passing in 1989, employees of restaurants established by Thad and Alice Eure, including the Angus Barn, Fat Daddy’s and 42nd Street Oyster Bar, united to start the annual Walk for Hope. The goal of the event, spearheaded by Wyndy Hoover, Jill Highsmith and Henk Schuitemaker, was to raise awareness of the Foundation’s mission and to help fund grants and projects that would lead to cutting edge treatments. 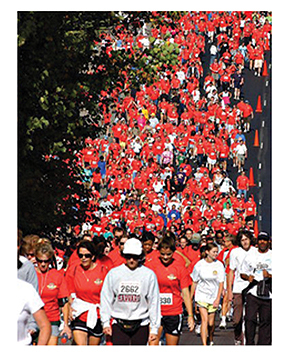 Approximately 200 participants raised $30,000 at the premier walk stretching 12 miles between Thad and Alice’s first restaurant, the Angus Barn, and their last, 42nd Street Oyster Bar downtown Raleigh. Perhaps David Rubinow, M.D., Chair of Psychiatry at the University of North Carolina said it best: “I cannot adequately express my appreciation to the Foundation of Hope for their role in educating the public about the ravages of mental illness and for their steadfast support of psychiatric research. 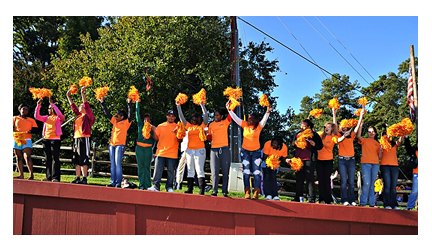 For more information, contact the Foundation of Hope at walkforhope.com or call (919) 781-9255.